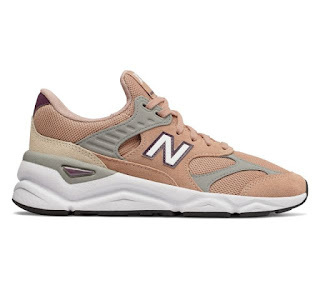 Today ONLY you can score this pair of New Balance Women's X-90 Reconstructed Lifestyle Shoes for JUST $49.99 (Retail $109.99). The women's X-90 Reconstructed sneaker leverages the unmistakable character and style of the 90s with a pared-down upper that's at once minimalist and modern. A chunky REVlite midsole unit adds style and comfort underfoot. Meanwhile, stylish overlays give the X-90 a heritage-inspired feel, tying It back to its classic NB roots.